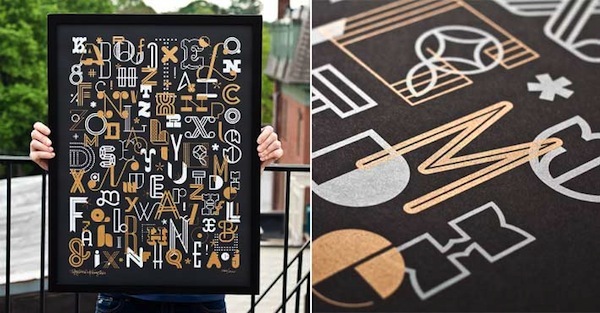 And here is another fine typographic poster to adorn your wall. This one, The Letters Poster, is printed on an 18×24 sheet of 60# Black Licorice stock. It’s 2-color screen printed with metallic gold and silver, and features original letterforms.